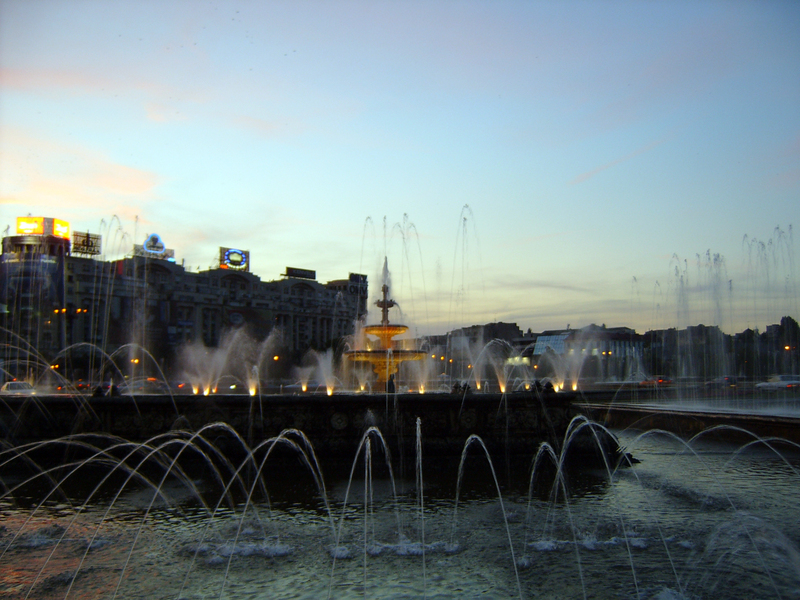 The largest and undoubtedly the most important city in Romania is its capital, Bucharest. Official census data shows that 2 million people live in this huge melting pot, but unofficial estimates say that the metropolitan area of Bucharest is more likely to have a population of around 3 million. Bucharest is a city of extremes. On one hand, it is Romania’s most important industrial, political, cultural, educational and financial center. The traffic on its wide boulevards can get infernal during weekdays, but expats say that the living conditions, dining-out and cultural opportunities are equal to any large metropolis in the world, while the prices tend to be cheaper. The architecture of Bucharest is eclectic: charming neo-classical, Bauhaus, and Art-Deco buildings stand between huge concrete edifices, reminders of the Communist era. The capital is the most prosperous city in Romania, as the average income is 30% higher (about 500 Euros more) than in other important cities, such as Iasi or Cluj-Napoca. Over the past few decades, Bucharest usually had a lower unemployment rate than the Romanian average, while the per-capita GDP is about twice the average. Bucharest is by far the largest transportation center of Romania. It is the most important hub of the Romanian railroad network, and it has two international airports (Aurel Vlaicu International Airport, close to the city center, and Henri Coanda International Airport located in Baneasa). It is also a major intersection of the country’s road network. Some of the busiest national roads and motorways link Bucharest to all of Romania’s major cities, as well as to neighboring countries. Bucharest has 16 public and 19 private universities covering every major discipline of knowledge. The capital’s most important technical university is the Politehnica University of Bucharest, with 15 faculties ranging from Faculty of Automatics (700 places on B.A. level, full time course) and Faculty of Electronics, Telecommunications and Information Technology (600) to Faculty of Engineering and Management of Technological Systems (650) or the Faculty of Entrepreneurship, Engineering and Business Management (100). Almost all multinational companies in Romania have the headquarters of their subsidiaries in Bucharest, and the capital is also the first choice for the outsourcing industry. Among the largest outsourcers in the city are Genpact, Wipro, Stephanini IT Solutions (previously Tech Team Global), Gecad Cvantage, Accenture, HP, Siemens, Bosch, IBM, Conectys, APT, WNS, and Teleperformance. The salaries in the IT sector are slightly higher than in other parts of the country. An entry level programmer’s net salary is between 700-1000 Euros ($1000-1400) a month, the middle-level salary is 800-1500 Euros ($1100-2100) per month, while senior level programmers earn between 1500-2200 euros ($2100-3100).